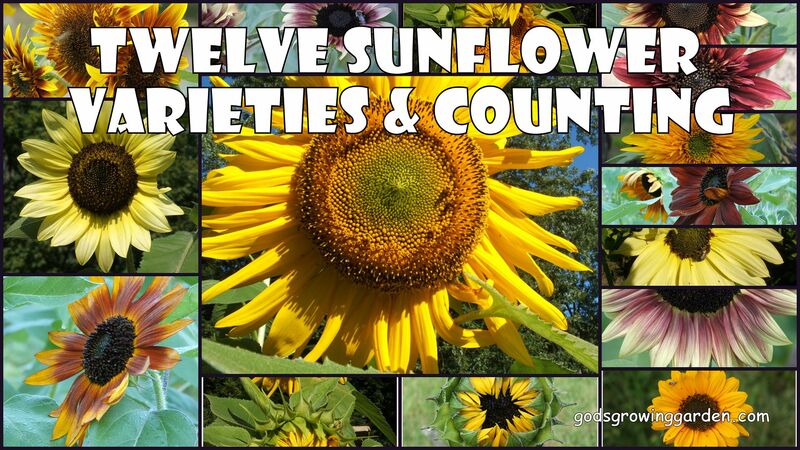 God's Growing Garden: Twelve Sunflower Varieties & Counting - Which One is Your Favorite? 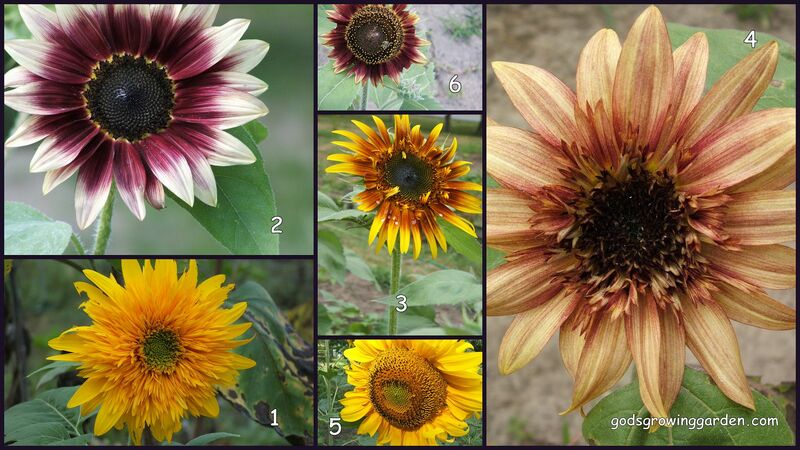 Twelve Sunflower Varieties & Counting - Which One is Your Favorite? If you would like to see more detailed pictures of one particular variety then click on the title next to the number below each collage. Leave a comment and tell me which one is your favorite - ENJOY!! Many more than 12 varieties - I have 4 more planned for planting this summer. Thanks so much for stopping by! For some reason Soraya reminds me of my childhood & Raggedy Ann (I don't know why). One lives and learns! Like Crystal, never realised there were as many varieties of sunflower! They're all lovely, but I think I'll stick to the golden yellow variety!! Stick in the mud, that's me! Thank you! The Mammoth & Giant Grey Stripe stand out in my favorites list also - they are tied for first place along with the other 10 (hahaha). So pretty! I love the pink ones. 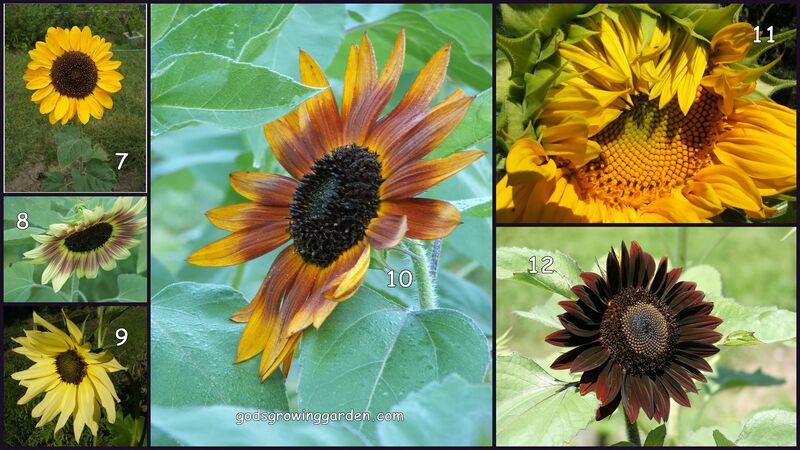 #5 is definitely my favorite - I love large Sunflowers. Thank you for sharing and linking up with us at the #WWDParty. I'm thinking #7 is my favorite (Soraya)? It just looks like a classic, picture-book sunflower. I love sunflowers too...something about them is just so cheerful and bright. I can't believe you've grown all these...you must have an amazing garden! They are all beautiful! I love sunflowers - each and every variety. Your photos are beautiful. Thank you for sharing this at the HomeAcre Hop; I hope you'll join us again this Thursday. How beautiful! I never knew there were so many different types of sunflowers! I didn't know sunflowers came in different colors. I think the Cherry Rose is my favorite. These are some great pictures. Thanks for linking up with Countdown in Style. Cherry rose is lovely, really unusual. My kids planted a couple seeds in half term and they must be 15cm tall already. How fast they grow! I love all types of Sunflowers and they are my son't favorite. The cherry rose caught my eye here. I'll have to add those to my seed collection. Thanks! I love Flowers in general. These are all so pretty! Thanks for linking up at The Four Seasons Blog Hop! Sandra from Scrumptilicious 3 You!